If so, you may be an overly empathic person– or even an empath. The difference between the two, according to Wendy De Rosa, leading intuitive healer, author and teacher, is that an overly empathic person may feel helplessly overwhelmed by everyone else’s feelings, while an empath knows what to do about it. 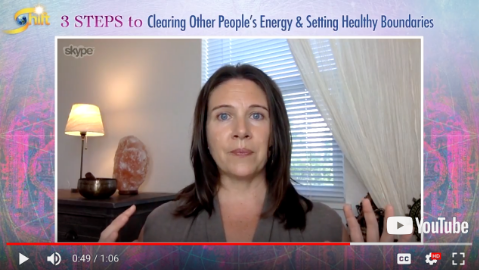 In the brief video clip below, Wendy shares about the “detox” of energies that aren’t yours from your system — grounding you in your full, empowered Self and allowing you to radiate presence. This clip is a just a small taste of the event with Wendy last week. Don’t forget you can see the full encore at Noon Pacific tomorrow, June 26. P.S In the meantime, you can be guided by Wendy much deeper into your energy system and in clearing early conditioning, de-cording and accessing your true power, here: Energy Training for Empaths.